Tenerife trips wine museum La Baranda and more excursions. Tenerife trips to La Baranda to sample wines plus insider tips for many more small excursions. Doing Tenerife trips to Casa del Vino La Baranda in Tenerife North El Sauzal (right next to Tacoronte) might require leaving your car safely at home. The wines on offer are plentiful. Your head might be spinning by the time you finish tasting some. This could even be so after you had much delicious food and cheese at the Baranda restaurant. You may sample the wines inside the old finca (farmstead) or outside on a veranda with view. Trips to the Wine House La Baranda should be fun. Who wants to worry about getting a traffic ticket, causing an accident or worse? La Baranda has become yet another one of incredibly varied Tenerife museums, while there is a small museum for Malvasia wine in Icod de los Vinos. But educating yourself at the leading museum of wines La Baranda first, is a must. Learn how wines on the island were made as far back as century XVI and, what they taste like in comfortable surroundings. Indeed, there is a room just for that. How get to La Baranda ? Parking: at the museum's parking ground or around the corner by the Baranda dance cafe. 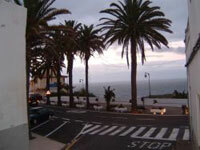 More short trips in Tenerife for exclusive wine or beer. 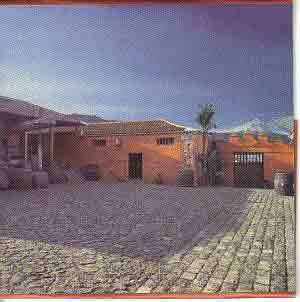 Indeed, there is also the ancient Bodega Monje at El Sauzal. There, learn on grass roots' level all about the art of growing and making wine. You could do trips to Puerto Cruz to have a drink in the middle of Lago Martianez seen here with its little isle Martianez pool bar. Hike up to la Paz by the steep steps of this Tenerife Sunday shopping mall for a great view of Costa Martianez and the Puerto Cruz sky line. Do it to sit at a bar high above the mighty Atlantic, while you sip anything you like. Stroll to and through La Paz with its charming colonial style Canary center with Frangipani scented court yards and intriguing nooks. You could include a very pleasant 20 minute trip back to Puerto by a pedestrian passage called Calzada of the goats. It leads off the ocean view look-out La Paz. That's the Jardin de Acclimatización or 'Jardin Botanico' of Puerto Cruz. Of course, it merits frequents visits. Its ancient wish tree with its incredible roots may draw you into its secret world. This most stunning of Spain's elite parks is on top of the suburb la Paz. Drive from La Orotava to the Caldera by Agua Mansa which is on the road to Mount Teide. Walking in Tenerife in this area may become an adventure, unless you arrive early. You may end up in a typical Tenerife rain forest. Sudden clouds cause it in that region. They may creep up on you to get you lost. By the way, you could eat yummy trout at the Aguamansa Restaurant, just before you reach the forests. Of course, you may also do your own barbecue in the Aguamansa recreational park that's near its fountain. Spare a few hours to Explore the ancient Laurisilva forest of Monte de Aguas. Not far from it, pay a visit to a cheap Tenerife Tapas bar or its adjoining restaurant at the remote but well infra structured beach of Los Silos. Tenerife trips to the oldest Tenerife resort with its Puerto Cruz shops and malls let you discover a never thought of treasure while you stroll through an enchanting olden days' pedestrian zone. Take a break during any such excursion at a genuine Cafe with Berlin flair by the San Telmo beach. What trips for further south? Make sure you book a day trip for whale watching by Los Gigantes, early. Puerto Cruz for trips towards Icod Los Vinos, Garachico and further. Go past Los Realejos and stop less than 10 minutes from there on the coastal road at the San Pedro Restaurant view point, above the most pristine nature reserve and hiking path next to a breath taking platanera... Leave your car at San Pedro and enjoy... Also, food is good there with the option of gourmet or cheap Tapas next door (closed Wednesdays) The veranda is priceless, of course. Or do Tenerife trips taking Titsa buses 107, 108, 363, 364 direction San Juan de la Rambla and make sure in Puerto Cruz at (ticket sales counter) that all bus lines stop at San Vincente. From there you can walk back about 500 meters to the San Pedro view point. Another classic spot for trips to watch sunsets is the Garachico Caletón waterfront. It's a good idea to cool off there after shopping for souvenirs in town. Plan Tenerife trips to la Orotava to Casa de los Balcones or to admire Drago Lercaro. Several options for eating out at this place include the stunning Casa Lercaro indoor yard. Have some cheap salads called Tapas (short Spanish Island snacks) on La Orotava Town Square by the bridge under shady trees. Find a map of the town displayed there. Most town attractions are on your finger tips, as soon as you are on its bridge on Old Main Road La Carretera. They include the ancient Town Hall, Iglesia de de Concesión, Casa de los Balcones and Casa de la Artesania for top handicrafts. Do a trip to mighty Mount Teide and its Cañadas. Do it with an organized coach tour, unless you have your own car and plenty of time for your own Teide explorations. Why pay San Juan de la Rambla a visit? Of course, reserve time to do escapes to Tenerife beaches. which include a link to Tenerife south beaches. 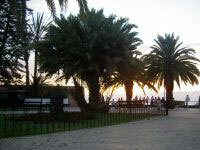 Do several outings to Santa Cruz the Tenerife capital: to see the wonders of an amazing town. Go straight to Shopping in Tenerife done differently in the capital with photos of shop street, a restaurant and even a precious little park a few steps from it. People with a new holiday home in Tenerife, usually, do many driving trips to the Tenerife Scandinavian Mall of La Laguna near Santa Cruz which provides so much home decorating and furnishing inspiration. Have a look at suggestions for Tenerife trips by bus from Puerto de La Cruz for getting around to the south and nearby or vice versa. 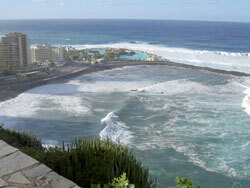 Check all attractions of the biggest Canary Island as options to do short or longer outings. Different trips for different seasons. One example would be to see flowering almond trees in spring near Masca or on the way to the Cañadas. Mountain resort pick-nicks are good summer alternatives when it's to warm for hiking. Surfing trips to different beaches are best in autumn or spring. Would you like romantic surroundings? Do a trip to San Christóbal de la Laguna whose ancient quarter lends itself for a romantic Christmas outing. Of course, how could one forget the thrilling Tenerife capital Tenerife Santa Cruz , which is ideal for many a day trip for all kinds of reasons? In case you don't stay in the south, it would be best to book a night trip to Las Americas with Costa Adeje where you can even go to a casino by Playa el Bobo in San Eugenio. It's impossible to to do enough Tenerife tours while on a short holiday because of lack of enough fast and straight connections. 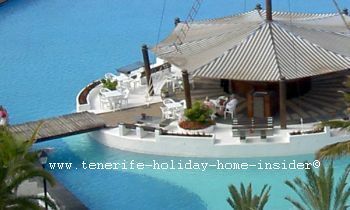 Therefore, owning a holiday home in Tenerife is so popular for frequent visits.